In this first book in the Micki and Daniel series, we are introduced to Micki, the fearless dancing explorer, and Daniel, her sanguine, violin playing friend. We learn how Micki comes to acquire Pegasus, the extra-short pony, who likes to follow her around, and how Daniel meets the red parrot who insists on being called “Ooloo Mooloo”. Micki and Daniel had been friends for as long as they could remember. Somehow, something always seemed to happen when they were together. In this story, Micki and Daniel are going to a wedding, and they want their animal friends Ooloo Mooloo and Pegasus to come too! 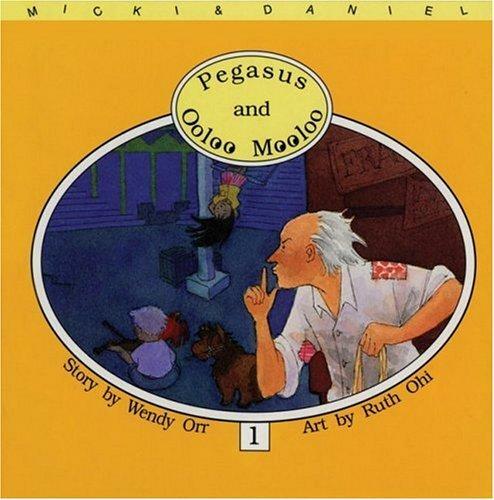 Micki and her pony, Pegasus, and Daniel and his parrot, Ooloo Mooloo, decide to visit the city.